Texas chic is still a very popular theme for many couples. 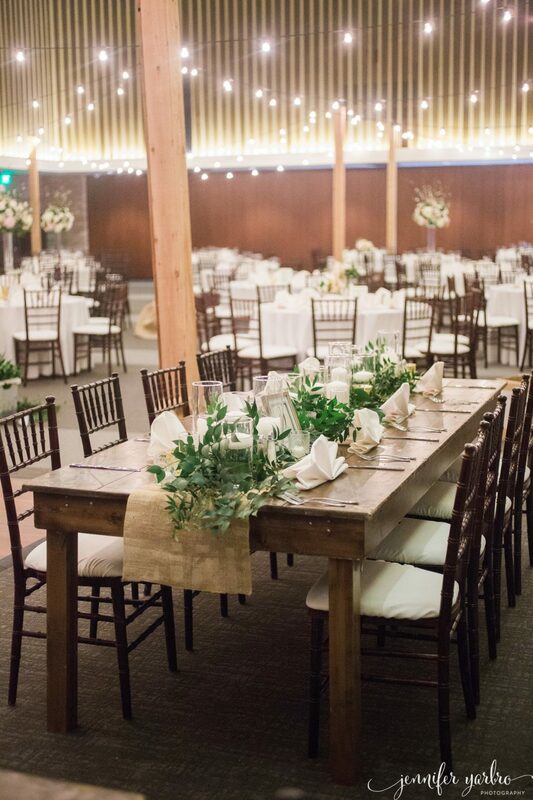 But you do not always need a rustic venue to pull it off. 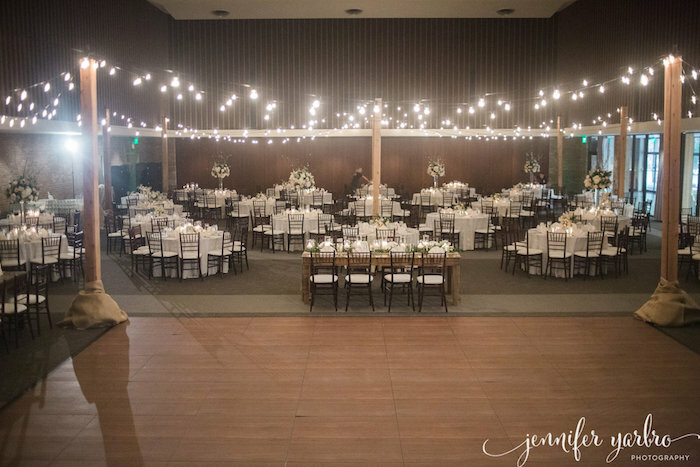 Talia and Jeremy wanted specific elements in the wedding, like the ceremony in their temple. 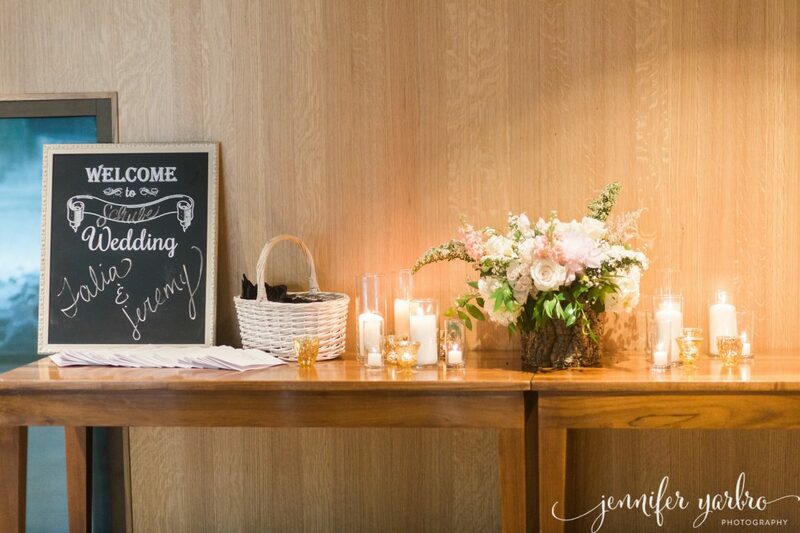 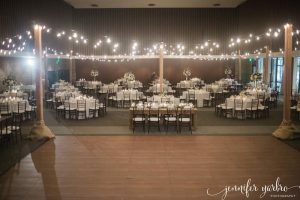 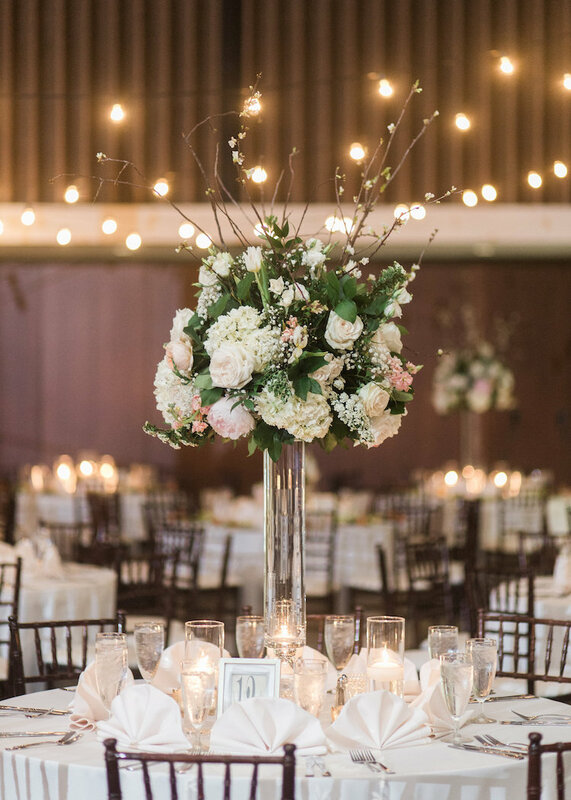 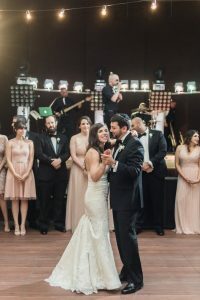 This wedding took place at Temple Emanu-El in Dallas and provided the perfect mix of chic urban Texas atmosphere complete with wood tones and café string light. The space was literally transformed by a group of talented and creative vendors. 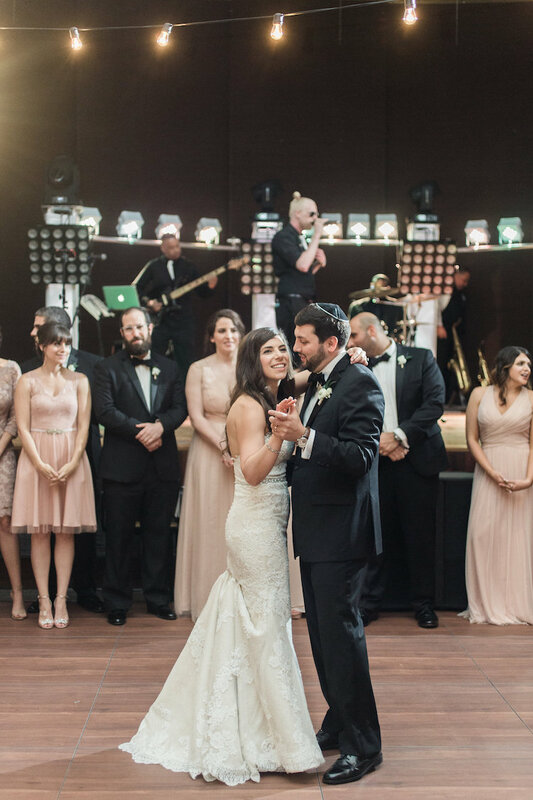 Talia and Jeremy envisioned a casual, relaxed and fun ambiance for their wedding. 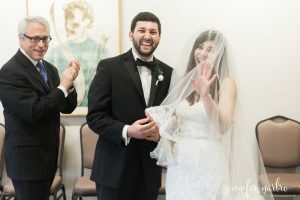 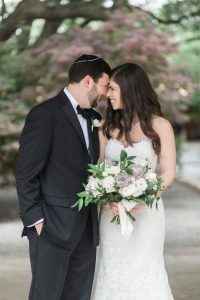 They wanted their Jewish wedding ceremony to be traditional and their reception to be fun and lots of dancing with minimal speeches. Talia wanted the design to be rustic-chic and romantic feel with lots of candles. 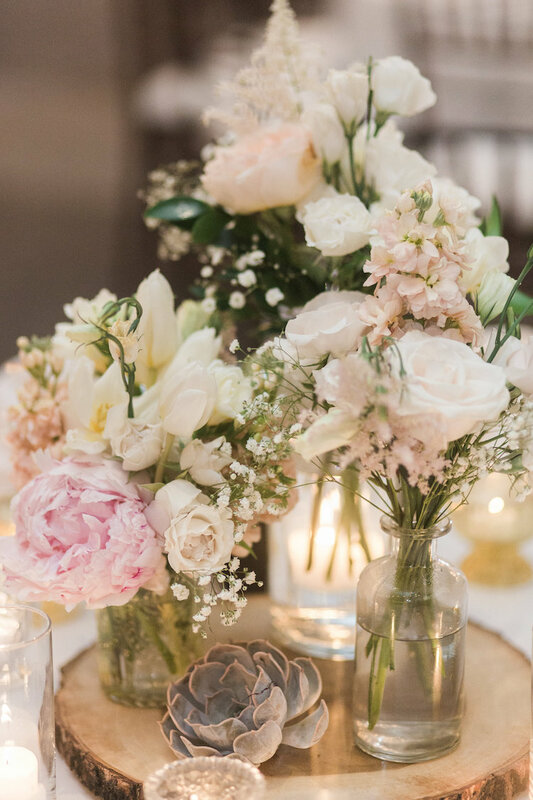 The colors were white, ivory, pale blush and green. 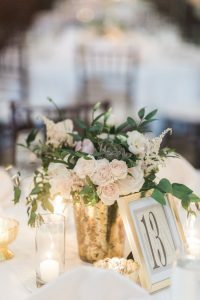 The style was lush but textured floral design that evoked a natural, but elegant feel accented with wood and antique finishes. Hydrangea, Ranunculus, Freesia, Roses and Peonies, Tulips, Anemones, and succulents were Talia’s favorite flowers.